N.B. As per the disclaimer, neither the ICRC nor the authors can be identified with the opinions expressed in the Cases and Documents. Some cases even come to solutions that clearly violate IHL. They are nevertheless worthy of discussion, if only to raise a challenge to display more humanity in armed conflicts. Similarly, in some of the texts used in the case studies, the facts may not always be proven; nevertheless, they have been selected because they highlight interesting IHL issues and are thus published for didactic purposes. 30. Economic and political measures started to be imposed against the Gaza Strip in February 2006 following the Hamas election victory in the legislative elections, accompanied by the withholding of financial resources on the part of donor countries. The closure on the Gaza Strip was imposed by Israel after Hamas took control of the Gaza Strip in June 2007. In September 2007, Israel declared the Gaza Strip “hostile territory” and that the movement of goods into and out of Gaza would be restricted for security concerns as well as in order to apply pressure on the Hamas government “as part of the State of Israel’s operations against continuous terrorism.”12 Harsher fuel restrictions came into effect since October 2007. 32. From mid-2008, in response to the Free Gaza Movement’s attempts to enter Gaza by sea, the Israeli Government took a series of steps aimed initially at deterring shipping from travelling to the area. A Notice to Mariners was issued stating that all ships entering the central zone of the Gaza Maritime Area would be “subject to supervision and inspection.” Then, in August 2008, a second Notice to Mariners was issued stating that a maritime zone extends 20 miles to seaward from the Gaza Strip. In accordance with the agreements between Israel and the PA, entry by foreign vessels to this zone is prohibited. 52. A blockade may not continue to be enforced where it inflicts disproportionate damage on the civilian population. The usual meaning of “damage to the civilian population” in the law of armed conflict refers to deaths, injuries and property damage. Gaza face a shortage of food or the means to buy it, that the ordinary meaning of “starvation” under the law of armed conflict is simply to cause hunger. 53. In evaluating the evidence submitted to the Mission, including by OCHA oPt, confirming the severe humanitarian situation in Gaza, the destruction of the economy and the prevention of reconstruction (as detailed above), the Mission is satisfied that the blockade was inflicting disproportionate damage upon the civilian population in the Gaza strip and that as such the interception could not be justified and therefore has to be considered illegal. 55. It might be suggested that a belligerent in an armed conflict has a right to visit, inspect and control the destinations of neutral vessels on the high seas, irrespective of any declared blockade. Whilst there is some controversy on this issue, the San Remo Manual and a number of military manuals take the view that the right may only be exercised upon reasonable suspicion that a vessel is engaged in activities which support the enemy [See document San Remo Manual on International Law Applicable to Armed Conflicts at Sea [para. 67-69]] . The Mission takes the view that a right of interference with third States’ freedom of navigation should not lightly be presumed. • posed an imminent and overwhelming threat to Israel and there was no alternative but to use force to prevent it (self-defence under Article 51 of the United Nations Charter). (…) The evidence of Prime Minister Netanyahu (…) indicates that the decision to stop the flotilla was not taken because the vessels in themselves posed any immediate security threat. In any event, no such right of belligerent interdiction or wider claim of self-defence against the Flotilla has been asserted by Israel. 57. Therefore the Mission is satisfied not only that the flotilla presented no imminent threat but that the interception was motivated by concerns about the possible propaganda victory that might be claimed by the organizers of the flotilla. 58. (…) [I]t is clear that there was no reasonable suspicion that the Flotilla posed any military risk of itself. As a result, no case could be made for intercepting the vessels in the exercise of belligerent rights or Article 51 self-defence. Thus, no case can be made for the legality of the interception and the Mission therefore finds that the interception was illegal. 59. The Mission finds that the policy of blockade or closure regime, including the naval blockade imposed by Israel on Gaza was inflicting disproportionate civilian damage. The Mission considers that the naval blockade was implemented in support of the overall closure regime. As such it was part of a single disproportionate measure of armed conflict and as such cannot itself be found proportionate. 60. Furthermore, the closure regime is considered by the Mission to constitute collective punishment of the people living in the Gaza Strip and thus to be illegal and contrary to article 33 of the Fourth Geneva Convention. 61. The Mission considers that the enforcement of an illegal blockade does not only constitute a violation of the laws of war, but also a violation of the laws of neutrality giving rise to State responsibility. 63. As the occupying power, Israel has certain obligations imposed on it by international law. The International Court of Justice has concluded that the Fourth Geneva Convention is applicable in the occupied Palestinian territories which before the 1967 conflict lay to the east of the Green Line and which during the conflict were occupied by Israel. This is also the case for the Gaza strip, despite the unilateral withdrawal by Israel of the forces from the Gaza Strip in 2005, as the occupation has been confirmed repeatedly since then by the General Assembly and the Security Council. In this context, the Mission notes that occupation continues to the extent to which the occupying power retains effective control. 64. The Mission agrees with the assessment presented in the Goldstone Report as follows: [See case study Israel/Gaza, Operation Cast Lead [Part. II, para. 278]] The Mission is satisfied that these circumstances continued to prevail at the time of the incident under investigation. 66. Flotilla passengers were civilians and in the context of the interception of the vessels must be considered protected persons. Under article 4 of the Fourth Geneva Convention, protected persons “are those who, at a given moment and in any manner whatsoever, find themselves … in the hands of a Party to the conflict or Occupying Power of which they are not nationals”. In a situation of armed conflict, military force can only be used against a combatant or against civilians participating actively and directly in combat activities, which cannot be said of the civilians on the Mavi Marmara. 79. The stated aims of the Flotilla, as testified by the leaders of the Free Gaza Movement and IHH [Turkish humanitarian organization “Foundation for Human Rights and Freedoms and Humanitarian Relief”], were threefold: (a) to draw international public attention to the situation in the Gaza Strip and the effect the blockade; (b) to break the blockade; and (c) to deliver humanitarian assistance and supplies to Gaza. All participants interviewed by the Mission shared their aims, although most placed emphasis on the delivery of humanitarian aid. 80. The Mission notes a certain tension between the political objectives of the flotilla and its humanitarian objectives. This comes to light the moment that the Government of Israel made offers to allow the humanitarian aid to be delivered via Israeli ports but under the supervision of a neutral organization. The Mission also notes that the Gaza Strip does not possess a deep sea port designed to receive the kind of cargo vessels included in the flotilla, raising practical logistical questions about the plan to deliver large quantities of aid by the route chosen. Whilst the Mission is satisfied that the flotilla constituted a serious attempt to bring essential humanitarian supplies into Gaza, it seems clear that the primary objective was political, as indeed demonstrated by the decision of those on board the Rachel Corrie to reject a Government of Ireland-sponsored proposal that the cargo in that ship to be allowed through Ashdod intact. 108. (…) The Israeli Navy requested each vessel to identify itself and state its destination. It then warned each vessel, with some variations, it was approaching an area of hostilities which is under a naval blockade, that the Gaza maritime area is closed to all vessels and that they must change course to deliver their supplies to the Port of Ashdod in Israel. In some of the messages, the captain of each vessel was warned that he would be held personally responsible for any consequences of a failure to comply with the Israeli request. The Israeli Navy’s contacts were similar to those in relation to previous Free Gaza Movement efforts to enter Gaza by sea. 113. The Israeli forces attempted to board the ship through attaching ladders to the hull. Passengers engaged in efforts to repel the attempted boarding using the ship’s water hoses68 and the throwing of various items at the boats including chairs, sticks, a box of plates and other objects that were readily to hand. This initial attempt to board the ship proved unsuccessful. It is the view of the Mission that the Israeli forces should have re-evaluated their plans when it became obvious that putting their soldiers on board the ship may lead to civilian casualties. 118. Israeli soldiers continued shooting at passengers who had already been wounded, with live ammunition, soft baton charges (beanbags) and plastic bullets. Forensic analysis demonstrates that two of the passengers killed on the top deck received wounds compatible with being shot at close range while lying on the ground (…). 72. The Panel notes in this regard that the uncertain legal status of Gaza under international law cannot mean that Israel has no right to self-defence against armed attacks directed toward its territory. The Israeli report to the Panel makes it clear that the naval blockade as a measure of the use of force was adopted for the purpose of defending its territory and population, and the Panel accepts that was the case. It was designed as one way to prevent weapons reaching Gaza by sea and to prevent such attacks to be launched from the sea. (…) [A] blockade in those circumstances is a legitimate exercise of the right of self-defence. Although a blockade by definition imposes a restriction on all maritime traffic, given the relatively small size of the blockade zone and the practical difficulties associated with other methods of monitoring vessels (such as by search and visit), the Panel is not persuaded that the naval blockade was a disproportionate measure for Israel to have taken in response to the threat it faced. 77. Important humanitarian considerations constrain the imposition of a naval blockade. For one, it would be illegal if its imposition was intended to starve or to collectively punish the civilian population. However, there is no material before the Panel that would permit a finding confirming the allegations that Israel had either of those intentions or that the naval blockade was imposed in retaliation for the take-over of Hamas in Gaza or otherwise. On the contrary, it is evident that Israel had a military objective. The stated primary objective of the naval blockade was for security. It was to prevent weapons, ammunition, military supplies and people from entering Gaza and to stop Hamas operatives sailing away from Gaza with vessels filled with explosives. This is regardless of what considerations might have motivated Israel in restricting the entry of goods to Gaza via the land crossings, an issue which (…) is not directly related to the naval blockade. It is also noteworthy that the earliest maritime interception operations to prevent weapons smuggling to Gaza predated the 2007 take-over of Hamas in Gaza. The actual naval blockade was imposed more than one year after that event. These factors alone indicate it was not imposed to punish its citizens for the election of Hamas. 78. Perhaps a more difficult question is whether the naval blockade was proportional. This means to inquire whether any damage to the civilian population in Gaza caused by the naval blockade was excessive when weighed against the concrete and direct military advantage brought by its imposition. As this report has already indicated, we are satisfied that the naval blockade was based on the need to preserve Israel’s security. Stopping the importation of rockets and other weapons to Gaza by sea helps alleviate Israel’s situation as it finds itself the target of countless attacks, which at the time of writing have once again become more extensive and intensive. On the other hand, the specific impact of the naval blockade on the civilian population in Gaza is difficult to gauge because it is the land crossings policy that primarily determines the amount of goods permitted to reach Gaza. One important consideration is the absence of significant port facilities in Gaza. The only vessels that can be handled in Gaza appear to be small fishing vessels. This means that the prospect of delivering significant supplies to Gaza by sea is very low. Indeed, such supplies were not entering by sea prior to the blockade. So it seems unrealistic to hold the naval blockade disproportionate as its own consequences – either alone or by compounding the restrictions imposed by Israel on the entry of goods to Gaza via its border crossings – are slight in the overall humanitarian situation. Smuggling weapons by sea is one thing ; delivering bulky food and other goods to supply a population of approximately 1.5 million people is another. Such facts militate against a finding that the naval blockade itself has a significant humanitarian impact. On the contrary, it is wrong to impugn the blockade’s legality based on another, separate policy. 79. This is not to deny or ignore the consequences of the land crossings policy and the state of the humanitarian situation in Gaza. We have reached the view that the naval blockade was proportionate in the circumstances. While we are unable to conclude that the combined effects of the naval blockade and the crossings policy rendered the naval blockade disproportionate, we can make the policy judgment that the procedures applied by Israel in relation to land access to Gaza are unsustainable and need to be changed. 80. As a final point, the Panel emphasizes that if necessary, the civilian population in Gaza must be allowed to receive food and other objects essential to its survival. However, it does not follow from this obligation that the naval blockade is per se unlawful or that Israel as the blockading power is required to simply let vessels carrying aid through the blockade. On the contrary, humanitarian missions must respect the security arrangements put in place by Israel. They must seek prior approval from Israel and make the necessary arrangements with it. This includes meeting certain conditions such as permitting Israel to search the humanitarian vessels in question. The Panel notes provision was made for any essential humanitarian supplies on board the vessels to enter Gaza via the adjacent Israeli port of Ashdod, and such an offer was expressly made in relation to the goods carried on the flotilla. 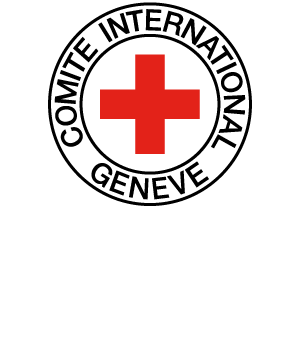 D. ICRC, Gaza closure: not another year! "The closure is having a devastating impact on the 1.5 million people living in Gaza", said Béatrice Mégevand-Roggo, the ICRC's head of operations for the Middle East. " That is why we are urging Israel to put an end to this closure and call upon all those who have an influence on the situation, including Hamas, to do their utmost to help Gaza's civilian population. Israel's right to deal with its legitimate security concerns must be balanced against the Palestinians'right to live normal, dignified lives. " Although about 80 types of goods are now allowed into Gaza – twice as many as a year ago – over 4,000 items could be brought in prior to the closure. Generally, the price of goods has increased while their quality has dropped – this is one consequence of the largely unregulated trade conducted through the tunnels that have been dug under the Gaza-Egypt border to circumvent the closure. (…) Assembling enough suitable materials to carry out sanitation projects is a slow and haphazard process. Materials obtained through the tunnel trade can be of questionable quality, while some items, such as certain electro-mechanical pumps, cannot be found at all, which hobbles construction efforts. 1. (Document B.) How does the Mission of the Human Rights Council describe the situation in Gaza in May 2010? (Document C.) How does the Commission of Inquiry of the United Nations Secretary-General describe it? How would you describe it? According to each of the two reports, which law is applicable? 2. a. (Document C., para. 73) Do you think, as stated in the report of the Commission of Inquiry, that the conflict between Israel and the armed groups in the Gaza Strip under Hamas administration is an international armed conflict? Can a conflict be defined as international if one of the parties is not recognized as a State? Is that because it is a war of national liberation, within the meaning of Art. 1(4) of Additional Protocol I? Even if Israel is not party to that Protocol? Is it because the territories are occupied by Israel? Does the definition of the conflict by the Commission of Inquiry and the arguments that it uses to justify it confer a special status on the Gaza Strip? 3. a. Does international humanitarian law (IHL) contain a definition of a blockade? Is a blockade applicable solely at sea? (Document B., paras 30-31) Can the measures restricting the movement of goods on land – or the closure policy – taken by Israel in 2006-2007 be considered a blockade? Is the legal regime of those two measures similar under IHL? b. (Document B., paras 32, 34 and 59; Document C., para. 70; Document D.) Do you, like Mission of the Human Rights Council and the ICRC, think that the maritime blockade measures imposed in 2008 were taken in support of the land closure regime and that they are thus part of just one measure or, as stated by the Commission of Inquiry of the United Nations Secretary-General, that those two types of measures are distinct? What arguments would you put forward in favour of one or the other position? Does the Mission of the Human Rights Council explain the thinking underlying its position? What do you think of the arguments used by the Commission of Inquiry to justify its position? b. Can the legality of a blockade be assessed on the basis of its objectives? (Document C., para. 72) Does the fact that the blockade was decided in order to prevent weapons from reaching Gaza by sea affect the assessment of its legality? (Document B., para. 54)Does the fact that the blockade was imposed in response to election of Hamas in the Gaza Strip affect its legality? Can a blockade be used as a lawful reprisal measure? (Document C., paras 71-72) Can Israel justify the legality of resorting to a blockade by citing security reasons? Are there grounds for justifying it as a measure taken in self-defence? c. (Document C., paras 78-79) If one accepts the argument that a land closure policy and a maritime blockade are two legally distinct methods, does that mean that their effects cannot be assessed cumulatively? What are the dangers for the civilian population of treating those two measures and their effects separately? b. (Document B., para. 261) Are all blockades of a territory subject to a humanitarian crisis prohibited, or only when the territory is already subject to famine?